In South Africa we have been blessed with outstanding sporting moments. From 438 to 1995, with a plethora of achievements in between, the term that is often associated with all these stories of success it that of “Madiba Magic”. This young and developing country often punches well above its weight on the International stage. 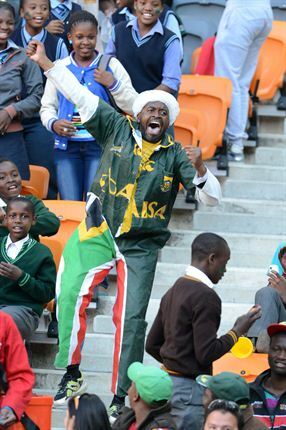 But one thing that can be seen from all of these events is that sport is the most unifying thing in South Africa. 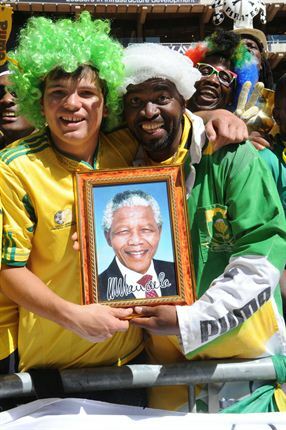 This past Saturday we saw this once again as South Africans combined to celebrate probably our two biggest sports and our one greatest citizen. I was fortunate enough to be at Soccer City on Saturday thanks to my friends over at BMW South Africa. And what an exceptional day it was. Although we were treated to the entertaining display by the legends as a warm-up, the day was more importantly about Bafana and the Bokke. And the teams delivered in a manner that fits with the theme of this blog, Proudly South African. Bafana outplayed Burkino Faso, the 2013 African Cup of Nations Runners-up, 2-0 in a game that clearly underlined the class and ability that Gordon Igesund is able to call upon. Bafana may at times struggle, but displays like this one show that we are pointing in the right direction. Siphiwe Tshabalala underlined his love for Soccer City and his national pride with a sensational display of class on the day. Of course the Springboks also dominated on the day with a display that may finally have won Heyneke Meyer haters over. The swag and confidence in display were evident and the return of Fourie du Preez was like being reunited with a long lost family member. After the initial discussions, there was no doubt that du Preez still has what it takes to play for the Springboks. But the finest moment of that match was not the return of du Preez, but rather the size of the cheer at the arrival of Siya Kolisi, the man is the ultimate success story of transformation done right. Of course the fact that this was all done on the backdrop of the iconic Soccer City, possibly the greatest stadium in Africa (With no offense to Moses Mabhida), just made the day that little bit more special. There was of course a host of activities also going on, with BMW being the centre of this with the #BMWChallenge, there were plenty musical artists, performers and ultimately good, sport loving peole of South Africa. A combination of pride and fun created the perfect backdrop to the perfect sport supporting day. Mzansi for Sure!